Did you enjoy this website ? Why not write something into my guestbook ? are copyrighted by Gerd Rossen and Jenny Schwebel. the authors permission is prohibited. If you have no ability to view Pop Up windows you can alternatively view the additional text/description to the pictures and catchwords for the internal search given to the pics by the photographer when uploaded as well as the camera equipment used to photograph here. 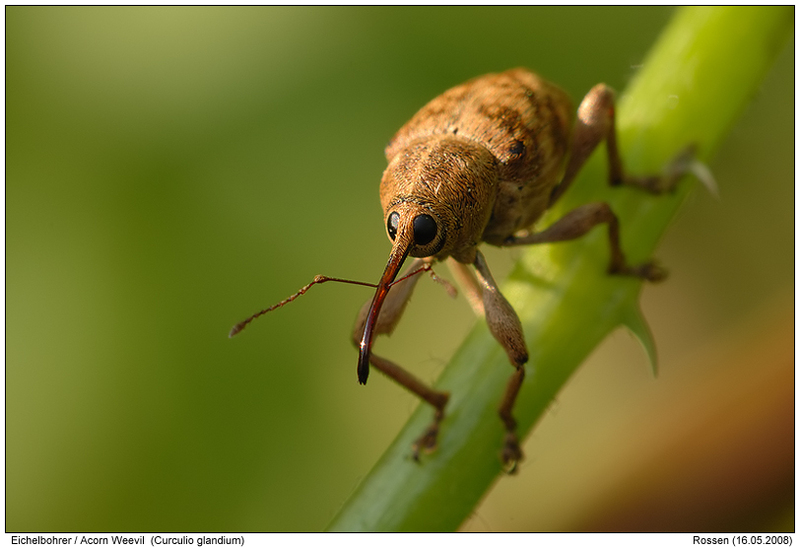 More of my Acorn Weevil photos you can find in our stock photo agency Fotonatur.de. You can also find there many pictures from other photographers of this species.